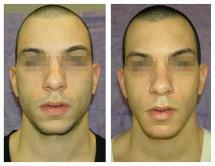 Genioplasy is a type of plastic surgery aimed at correcting the appearance of person's chin. It is performed in order to create the right proportions of the face both for aesthetic reasons, as well as in cases of congenital pathology, or posttraumatic deformities or cancer tumours. Genioplasty can take the form of chin rounding through osteotomy, chin height reduction, or chin augmentation using implants. This procedure is performed by oral and maxillofacial surgeons, or plastic surgeons who have extensive knowledge and experience of maxillofacial techniques. 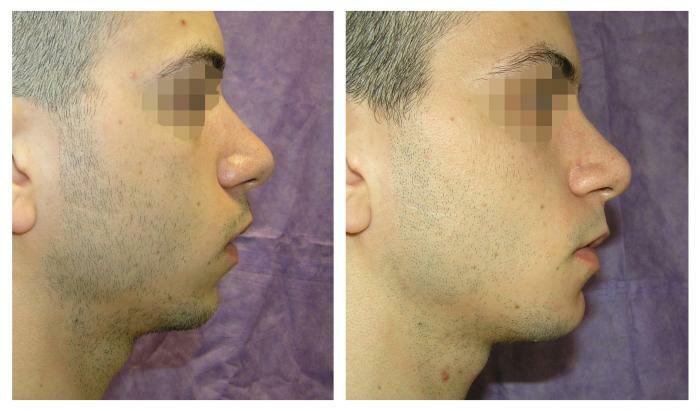 Some of the causes for this surgery include "long" or "short" face, the sloping chin, its asymmetry, as well as the patient's desire to improve the aesthetic contours and proportions of the face. In case of the "short" face syndrome, the operation is performed using autografts (using own bone tissue) or silicone implants. 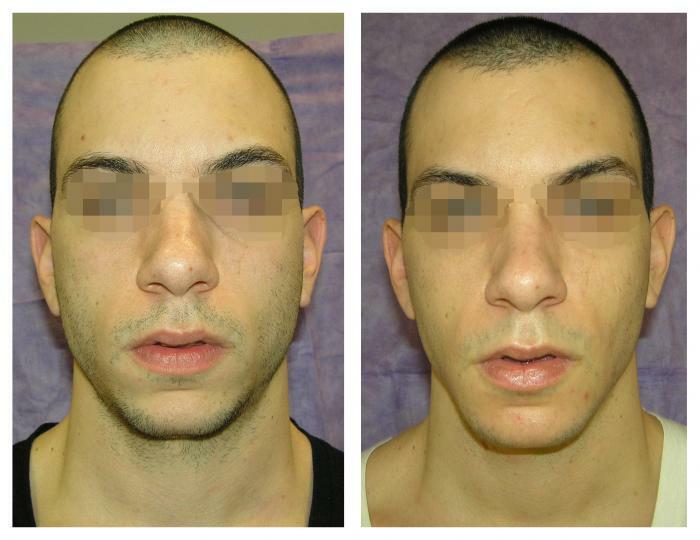 The correction of the "long" face syndrome, on the other hand, involves the removal of excess bone of the mandible. The incision is carried out on the buccal-mucosa of the lower lip. Genioplasty is a subvariant of correctional operations on the face, and is sometimes carried in conjunction with the contourplasty of the orbital, malar and frontal areas. Duration: 45 minutes - 1.5 hours. The patient stays in the hospital overnight and goes home with a special bandage. Price: The pricing for this operation is specified during the consultation, after the examination of patient’s facial proportions, anatomy, studying face X-rays (front and profile), identifying the size and shape of the implants to restore the correct proportions of the face, and proposing an optimal method of genioplasty – all of which varies from patient to patient. What is important to consider? For successful genioplasty, it is recommended that your plastic surgeon has extensive experience in Maxillo-Facial Surgery and intraoral operations. Click these icons to see larger images.